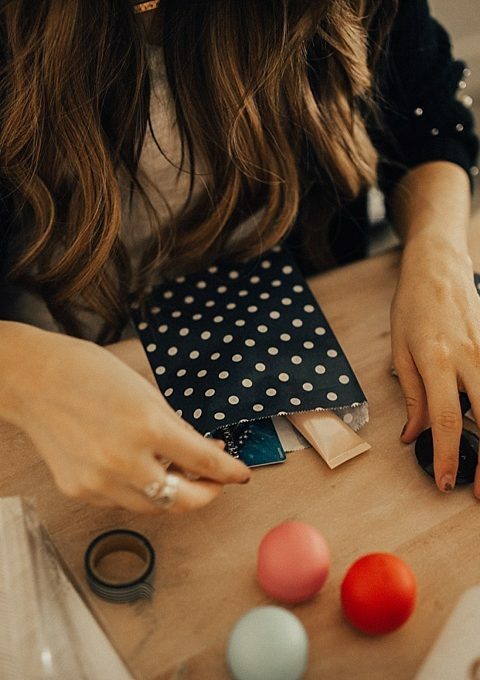 This holiday traditions post may contain affiliate links. King is finally old enough to do activities, understand what Christmas is, and all of that. I am completely obsessed with how magical it is making this time of the year. We have started to find our own family Holiday traditions that we can do together and start to make them things that we do together every year. We are letting King pick a few things and then deciding on a few that we want to do together as a family. With me being so sick and pregnant this year I’ll be honest King has watched quite a bit of TV because we are in survival mode. It cracks me up whenever any toy commercial comes on he yells “I want Santa to bring me that for Christmas”. Then 5 minutes later he wants something else and if you ask him in 10 minutes he can’t even remember what was on the TV that he wanted for Christmas. One thing that he saw on the TV this year though was what he calls “candy houses”. He asked if we could make them together one day and let’s be honest, I was so excited that he wanted to do something with me that I said “YES OF COURSE” in the happiest voice ever. 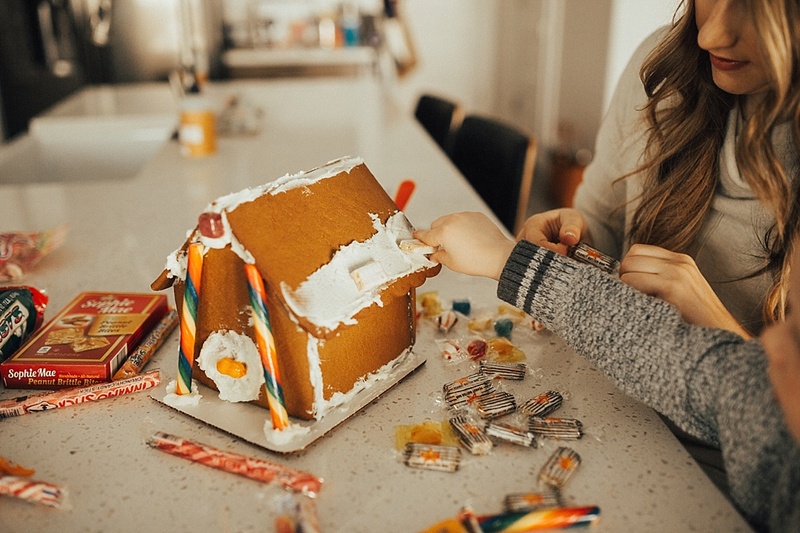 I am not one to make homemade gingerbread houses, that is for dang sure. I’m pretty sure mine would just crumble into crumbs if I tried to make it myself. We did a pre-made gingerbread house that even had instructions on how to make a yummy frosting glue to hold it together because me and my new gingerbread house making self didn’t know that you couldn’t use regular frosting so thank the heavens it had directions our our house would have been a flat house on the ground ha. 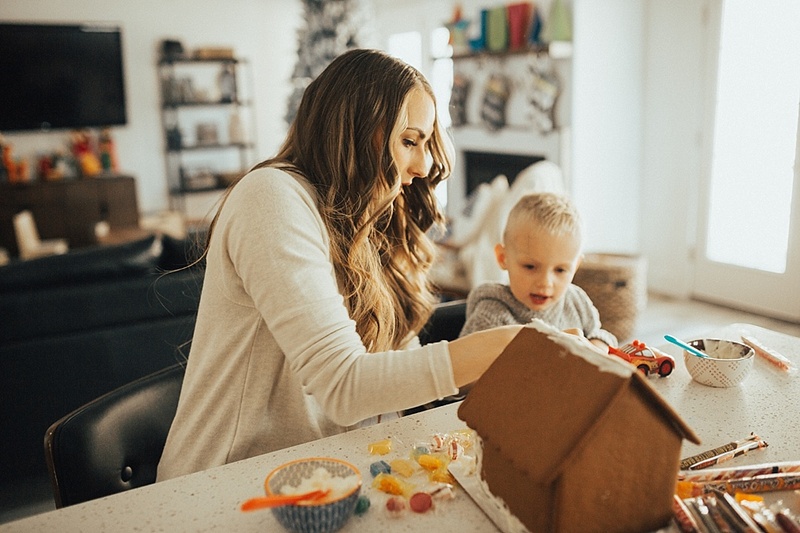 I ended up “gluing” the house together while King was in bed one night with the frosting so it would be dry and ready for him the next day. Then he wouldn’t have to be too patient while I figured it out and we waited for it to dry. 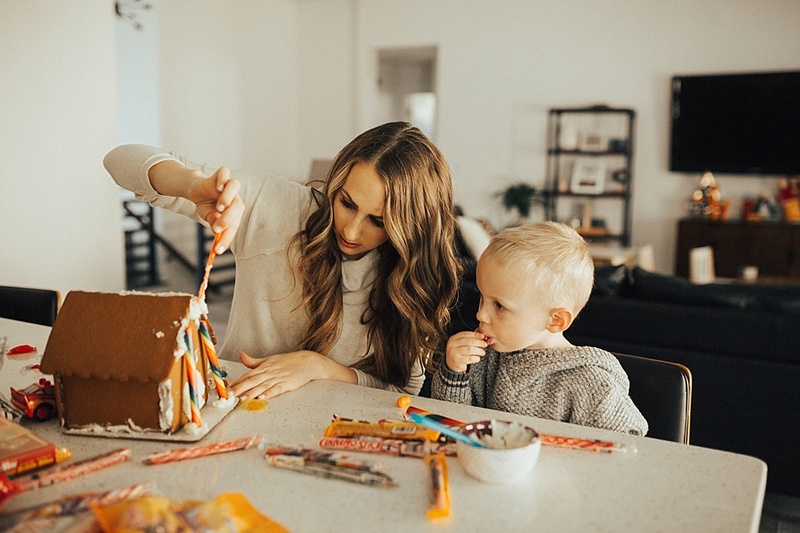 We used Atkinson Candy Co. candy on the house and there are so many fun gingerbread house options that King loved to snack on too while we were building. 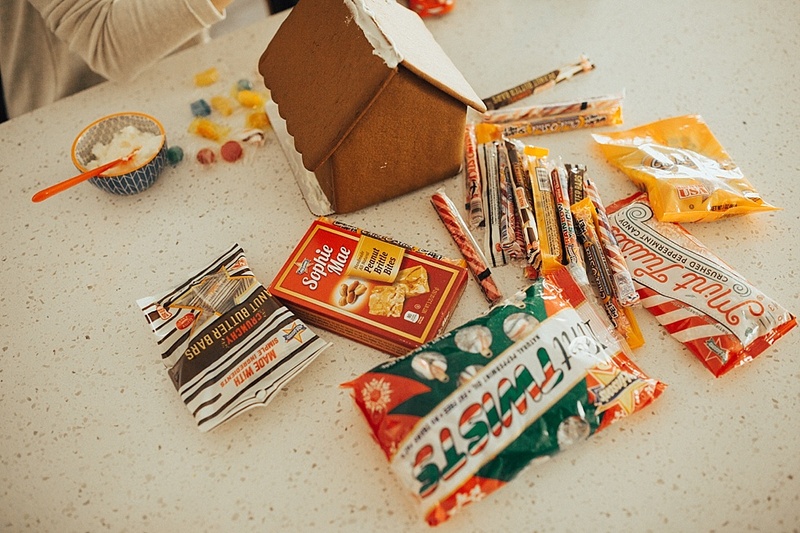 Everything from gem shaped candy to peanut brittle and King’s favorite the rainbow sticks which are my favorite to use on the front of our gingerbread house. It was so fun to watch him be creative in how he was putting together his house, what he wanted where and to be able to do it with him. 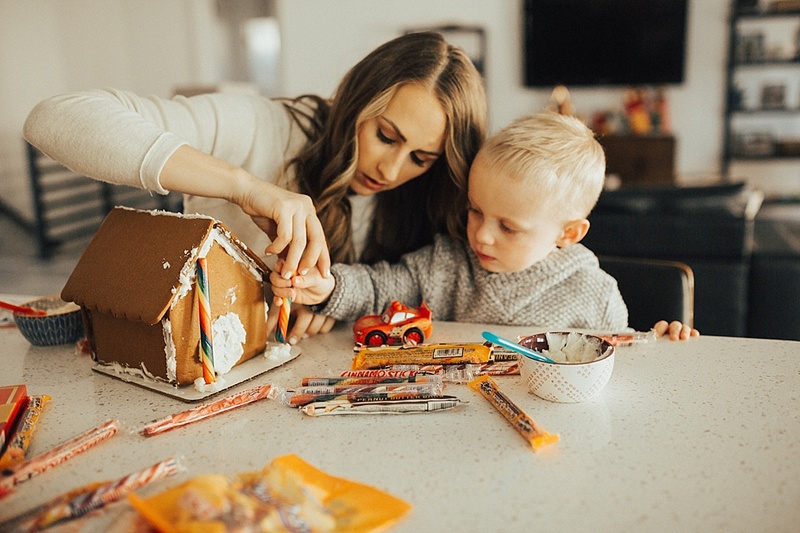 Atkinson Candy Co. has a contest right now that has started to submit your gingerbread house for the opportunity to win Atkinson’s Big Box of Happiness. (Spoiler alert—there might be some candy in there or something.) How fun is that and how fun would your kids think that is to get in the mail if you win!! 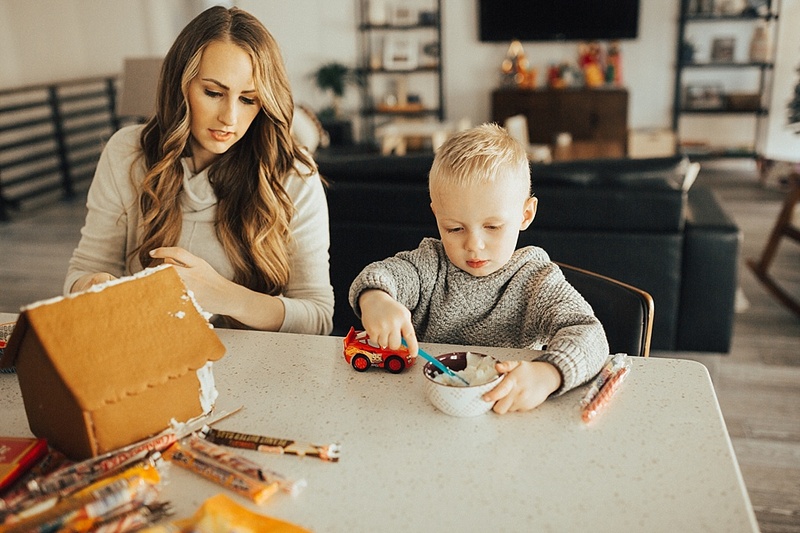 I know our gingerbread house won’t be winning any contests, but we submitted it and had the best time making it together and spending time together. 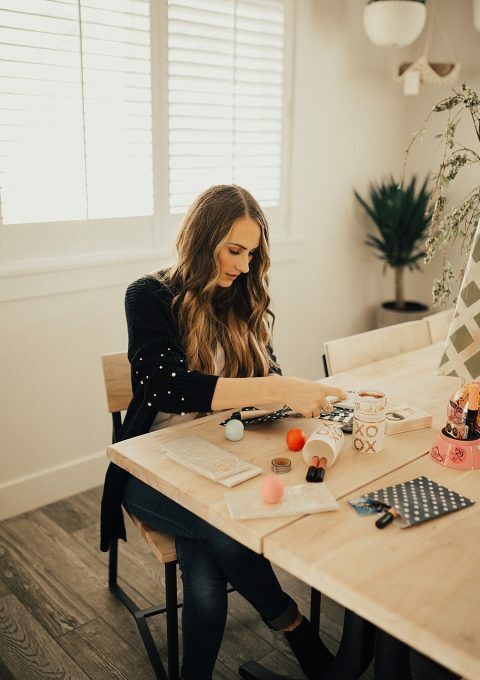 *** You can use code DANIMARIE for 20% off your order at Atkinson Candy Co to purchase candy for stockings, gingerbread houses, or just to eat by yourself in the bath tub! You can enter your gingerbread house HERE into the contest. The contest goes through the 21st of December and same with voting so go look at some of the amazingly fun entries and vote for your favorite. Winner will be announced on December 22nd. 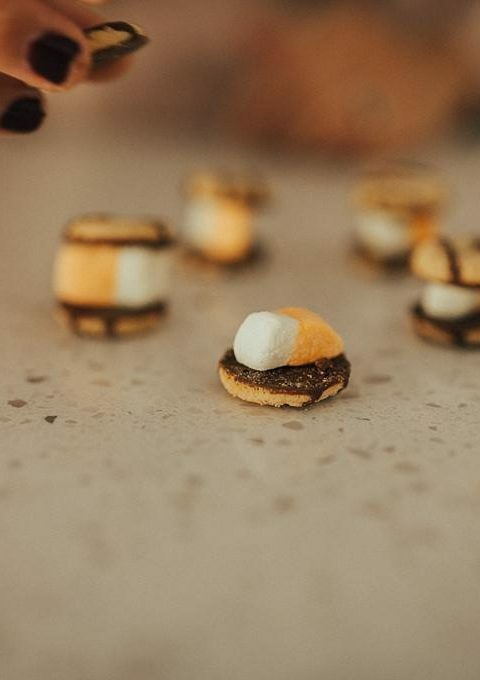 Having the best gingerbread house isn’t what we were going for and I think that often times with holiday traditions I expect them to be “perfect”, “Pinterest worthy”, etc. and that isn’t what it is about at all. 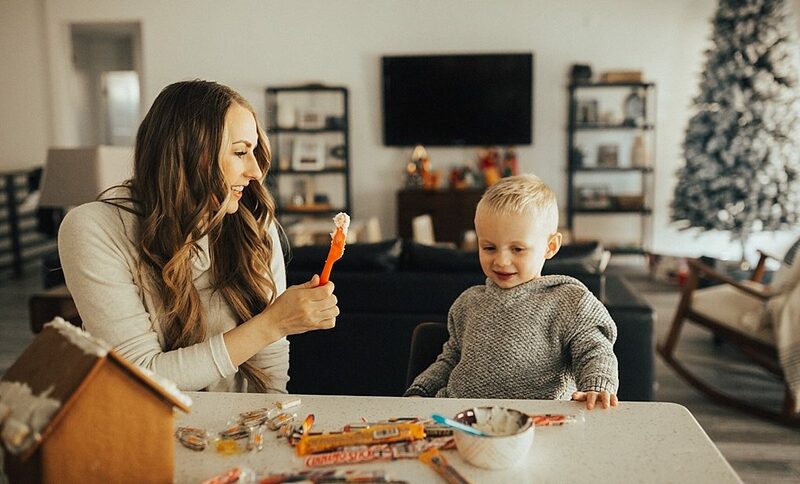 It is about spending time as a family, doing activities and Holiday traditions together that bring the spirit of Christmas whether they be big extravagant activities or just small moments at home together. 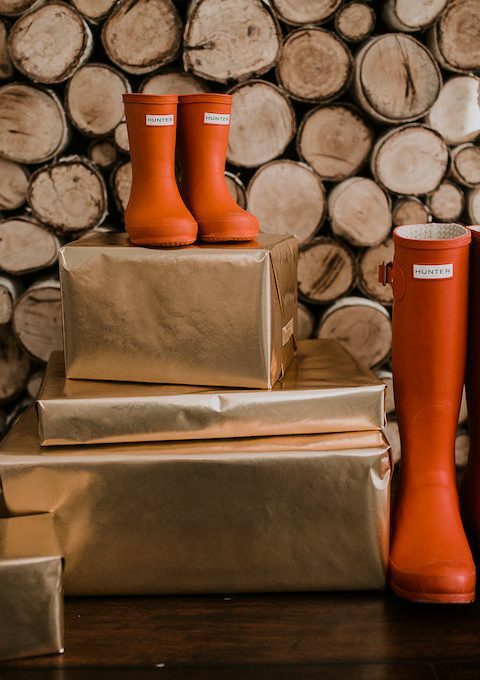 I would love to hear what Holiday traditions you have in your home so we can add some more to our list, whether they are simple or extravagant because I think a mix of both is perfect.